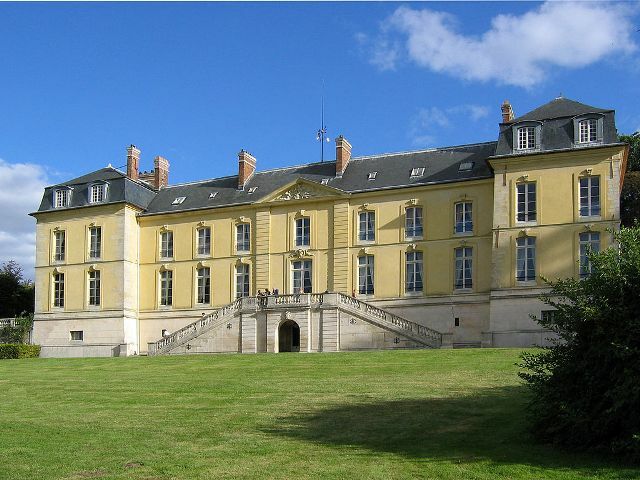 Location: La Celle-Saint-Cloud, in the Yvelines departement of France (Ile-de-France Region). Ownership / Access: Department of Foreign Affairs. Notes: Château de La Celle also called castle of La Celle Saint-Cloud or the little castle is a castle located in the municipality of La Celle-Saint-Cloud, in the Yvelines (France) and current property of the Department of Affairs Foreign. The castle is a historical monument in 1978. The park is he ranked among the sites Yvelines since a decree of 22 March 1985. Since the end of 2013 and under the leadership of Laurent Fabius and Marie-France Marchand-Baylet, his girlfriend and Flag-France Renaissance President, the Orangery is restored and the castle park is home to many sculptures by contemporary artists.